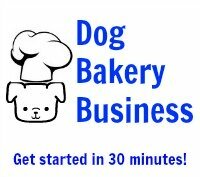 I am a new vendor for dog desserts and frosting - I have used dozens of different recipes to create the products I am selling. I recently found out that all my products containing frosting (the nonfat cream cheese frosting recipe) have molded after a week of being on the floor in the store they were sold in. Is it because they are dairy products in the frosting and they were not refrigerated? If so, what are other routes for frosting I could consider so that this won't happen again. All my products need to last more than a couple weeks on the floor, for selling purposes - what is the best way to get that without the mold? Thank you for your question. If you use a cream cheese or some other refrigerated item that you purchase from the grocery store, you will get mold. These products are refrigerated for a reason. When left out in the warm they can also grow bacteria and make a dog sick. Use these products only if you plan to serve immediately. There are two things that make foods go bad, moisture, which causes mold, and fat, which goes rancid. You can use preservatives to combat these two issues. Use a mold inhibitor or citric acid to combat mold and an antioxidant, like rosemary oil or tocopherols (vitamin e), to address rancidity. But these are not for foods that are meant to be refrigertaed. So, how do the professionals make cream cheese frosting that does not go bad? They use a cream cheese that has been pasteurized so that no refrigeration is needed. You cannot buy this in a grocery store. Magifrost dog treat icing is dairy-free and will not melt, nor does it require refrigeration. Do not purchase yogurt from the store and think you can put it on a treat and leave it out. It too will go bad and make a dog sick when it does. 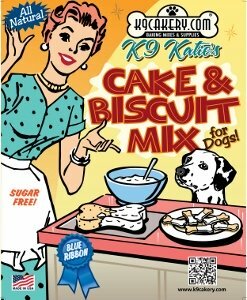 In summary, grocery store foods are designed for a different purpose than dog specific bakery products. Watch your moistures and fats, and use products designed for dogs. Thank you for your question and happy baking.